We guarantee the best quality from the Ardennes. Find out more about our diversified range of products. Learn more about the ham smokehouse from Montenau. Learn more about the opportunities in our region. Family and tradition are important to us! 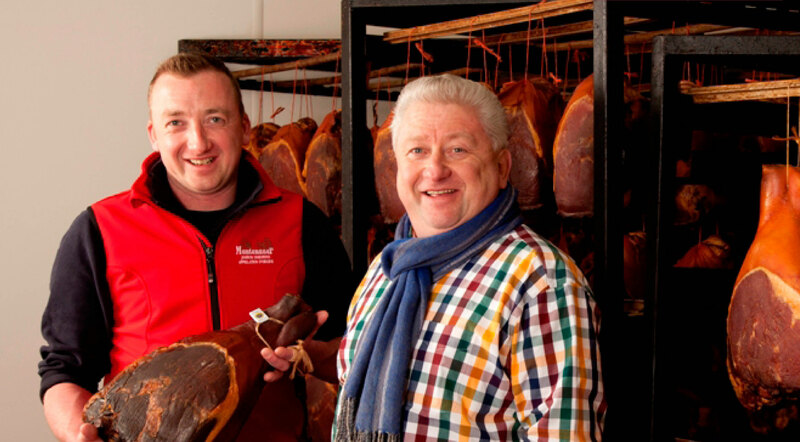 In our company, the generations work hand in hand and guarantee the perfect quality of our Ardennes hams and sausages. Our employees and the region of East Belgium are just as important to us. We have grown into the Ardennes and are proud that all employees of our company come from the region.